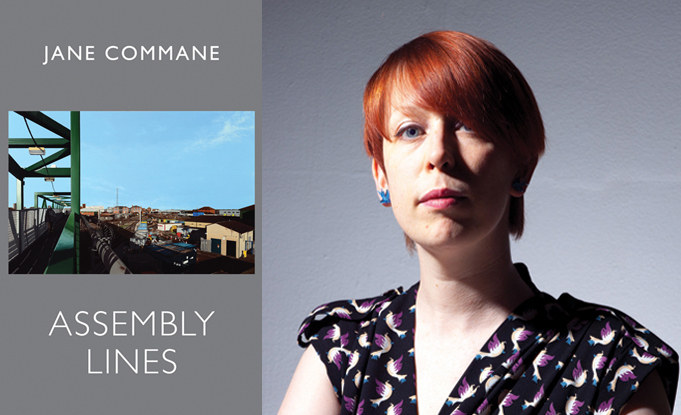 Jane Commane’s first full collection Assembly Lines, published in February 2018 by Bloodaxe, echoes the life of post-industrial towns and cities of the Midlands. Jane Commane was a guest on Start the Week, Radio 4’s flagship weekly discussion programme, on 21 May. Fellow guests on the programme were Mariana Mazzucato, the architecture critic Rowan Moore and Joshua Freeman, who has written a history of giant factories. They were discussing work and labour, including a study of the labour market. Jane spoke about the post-industrial setting of her collection Assembly Lines, and of the effect that deindustrialisation has on communities. She read her poem ‘Midlands kids,’ from the collection. Presenter Amol Rajan also mentioned her poem ‘On the New Bypass’. 'The poems in Jane Commane's collection, Assembly Lines, are set in a Midlands where ghosts haunt the deserted factory floor and the landscape is littered with 'heartsick towns'. Listen via Start the Week's webpages here. Jane’s interview is at 9.06, but she contributes to the discussion at other points in the programme. Click here to read review in full.